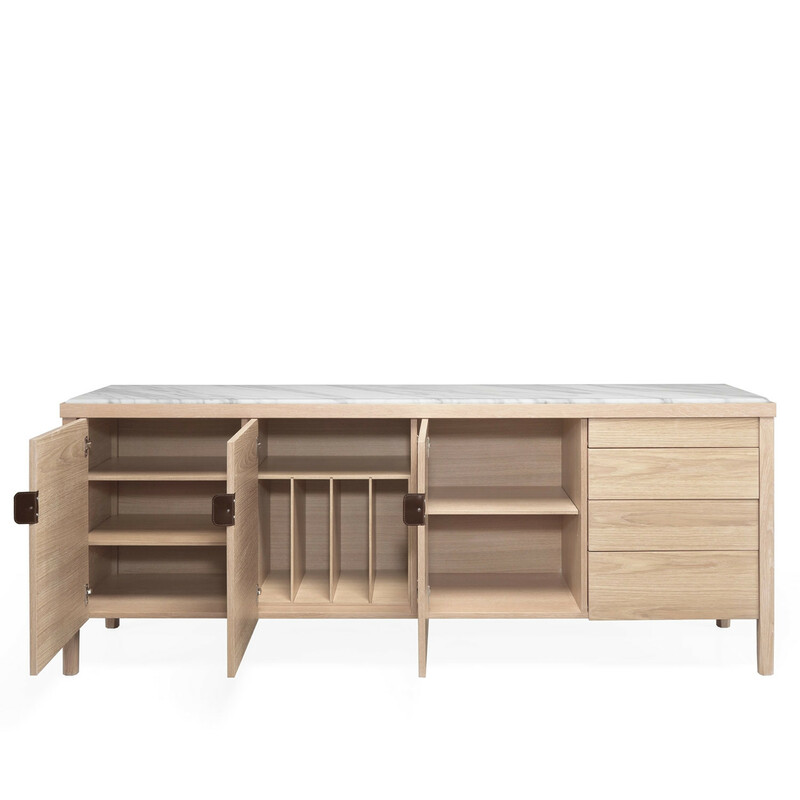 Carousel Sideboard features two folding doors with internal wooden shelves and four drawers with tic-tac system, emphasizing the high quality of the materials and our skilled craftsmanship. 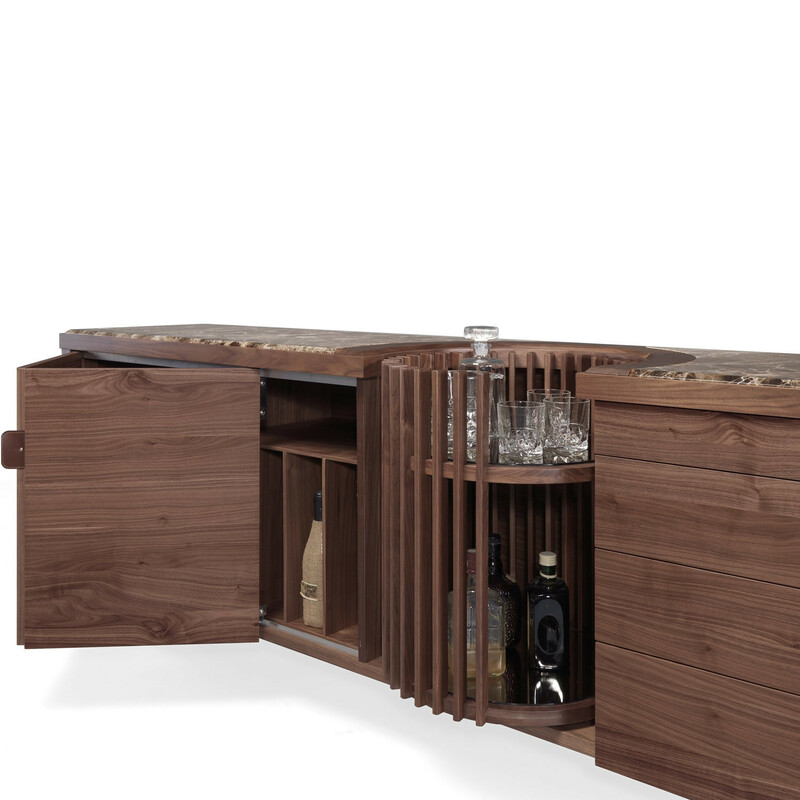 The focal point of this sideboard is its drinks turntable, centrally located, which can be used to hold bottles and glasses of Burbon and whisky or one’s favourite objects. 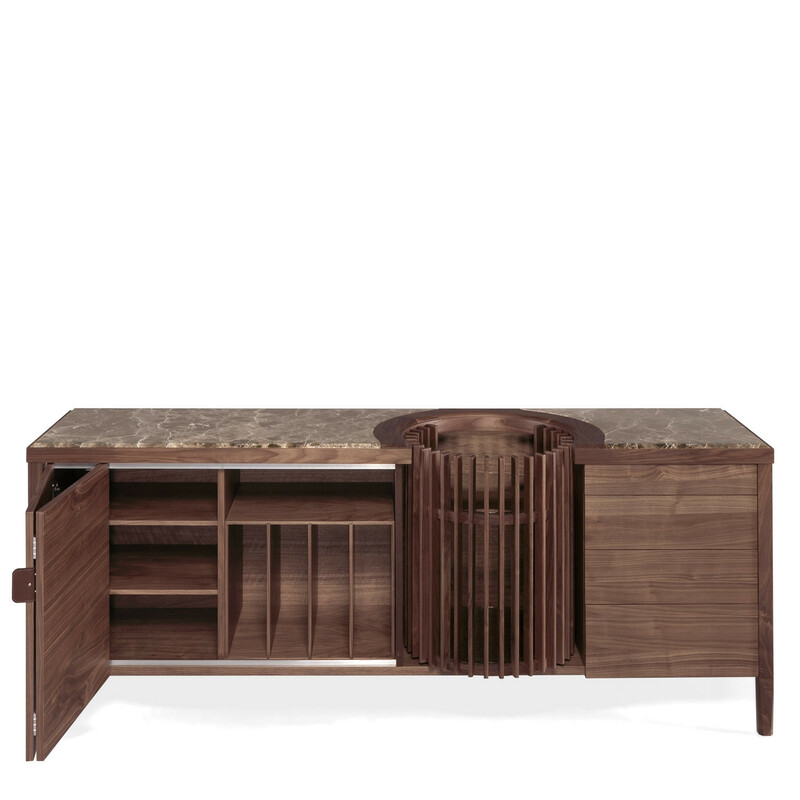 Carousel sideboard comes available in several dimensions and options: three or four doors, with or without the carousel bar, in oak or walnut and the marble top in calacatta or emperor optional. 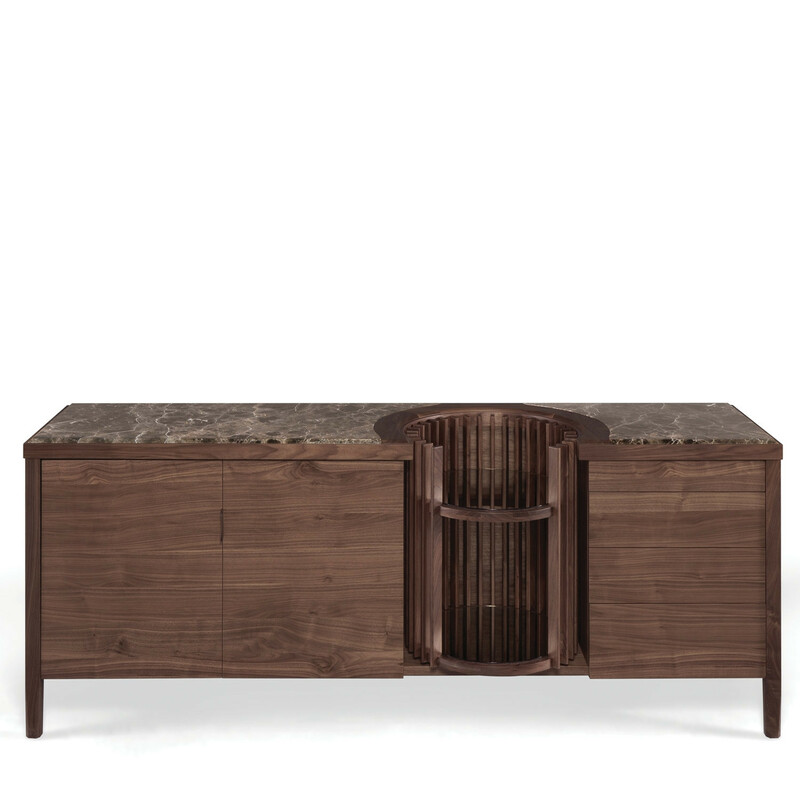 The Carousel sideboard focuses on functional elements, designed to address to various requirements as well as the need to incorporate luxurious finishes into any environment. You are requesting a price for the "Carousel Sideboard"
To create a new project and add "Carousel Sideboard" to it please click the button below. 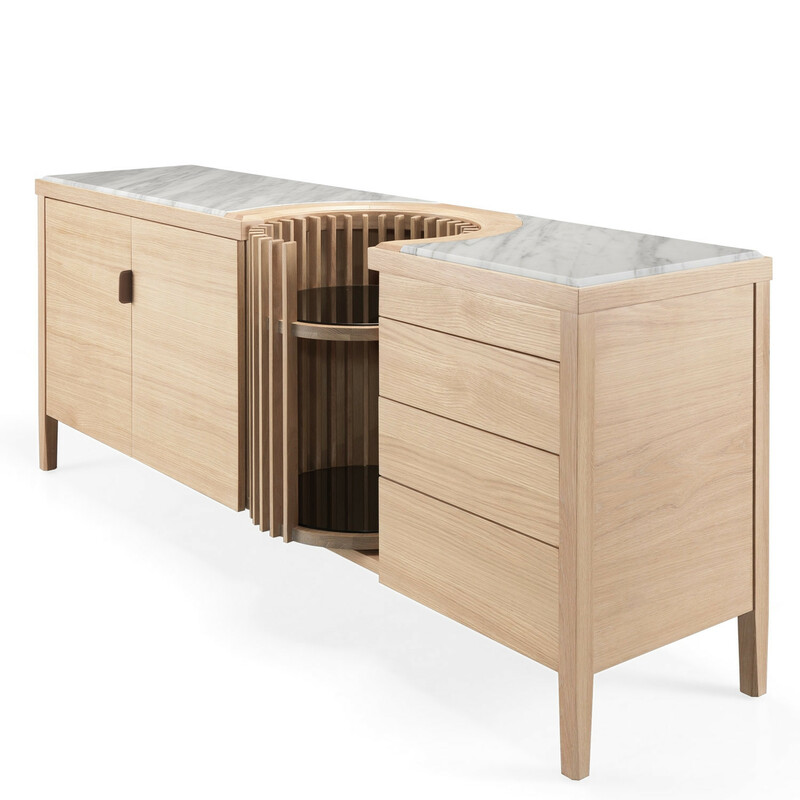 To add "Carousel Sideboard" to an existing project please select below.